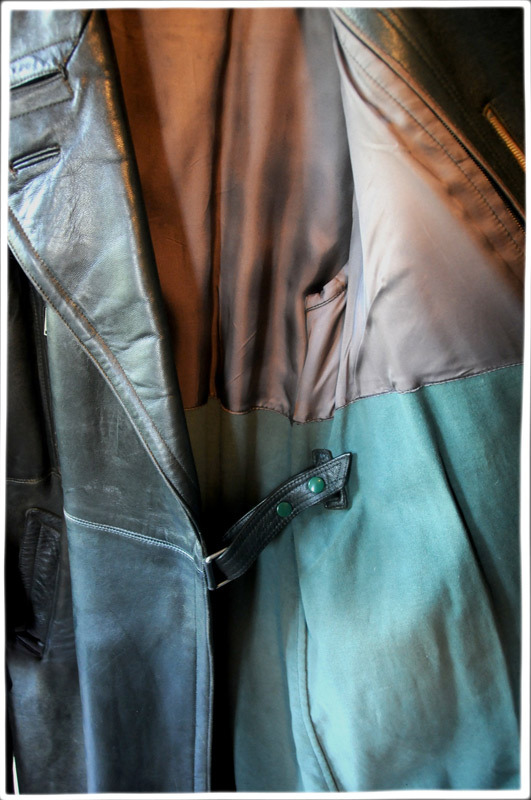 Dark green heavy leather with silk lining, belt, zips, inside fastener. 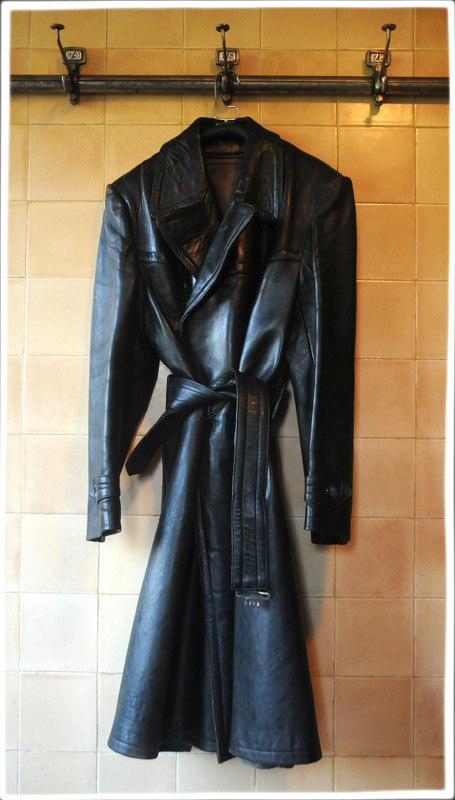 This WW 11-designed extra long heavy leather trench coat was originally designed for German Army officers and was manufactured in Germany. 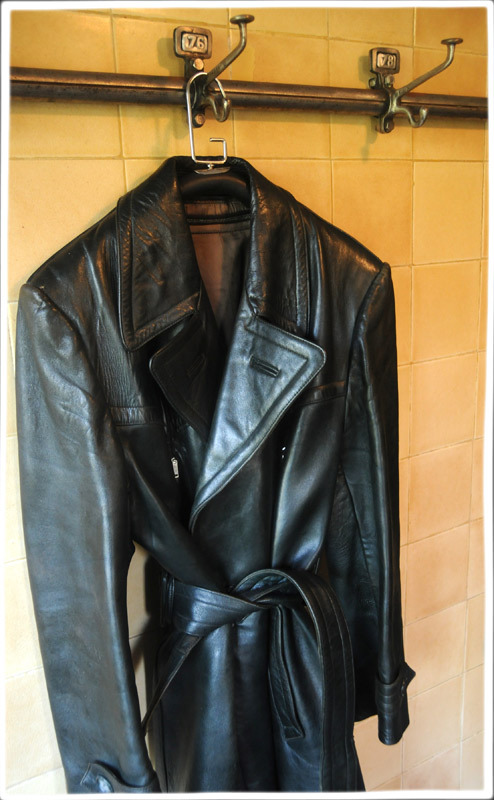 The coat was possibly made by the firm Hirschmann in Nuremberg which no longer exists although the lack of label means it can’t be verified. 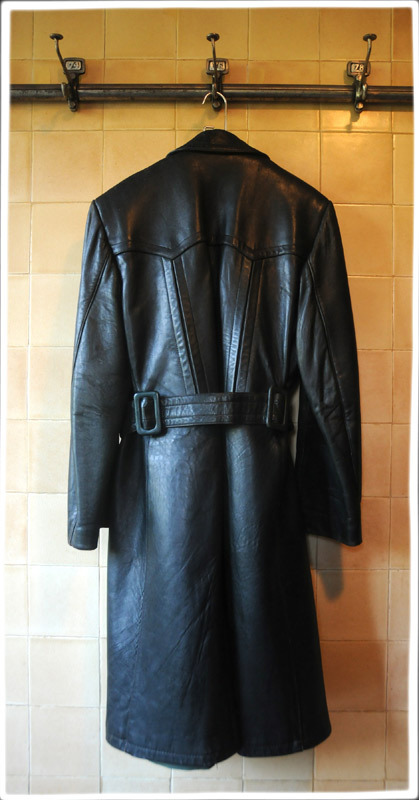 This type of coat would have been worn by an officer of the Wehrmacht or perhaps a member of a police or elite police unit. 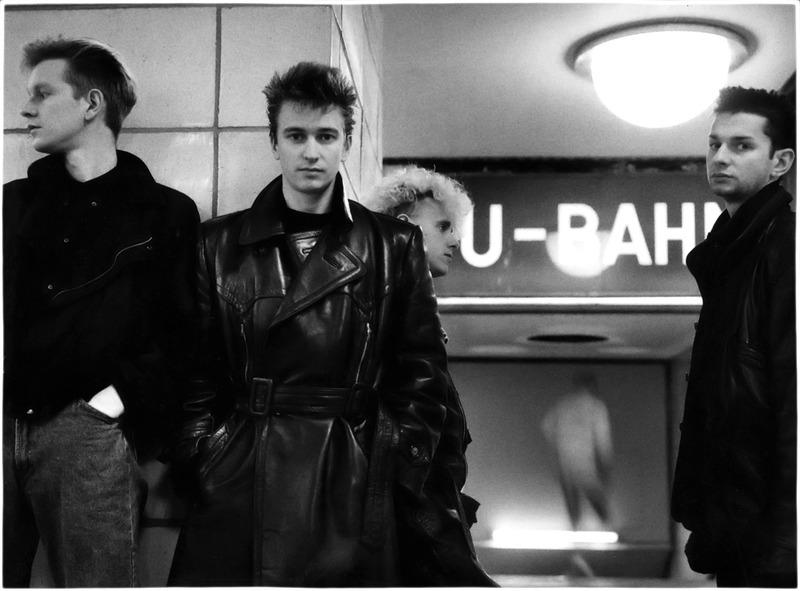 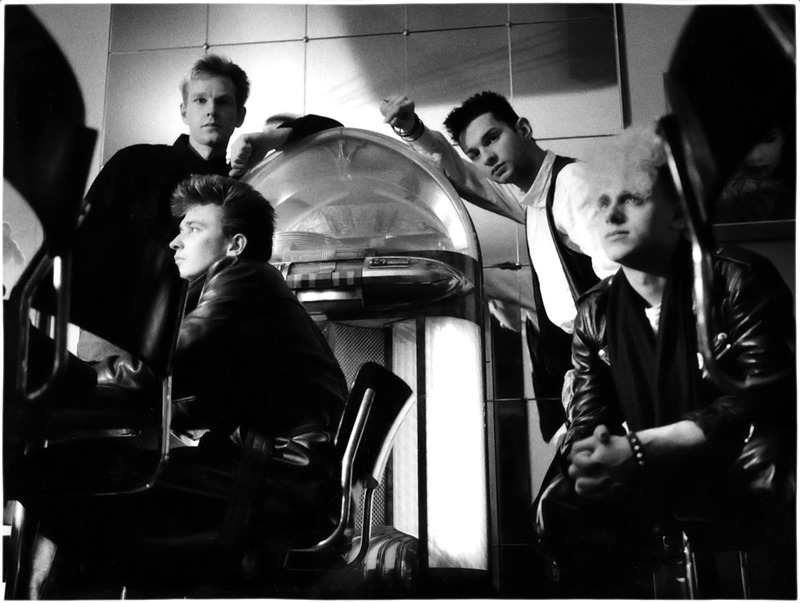 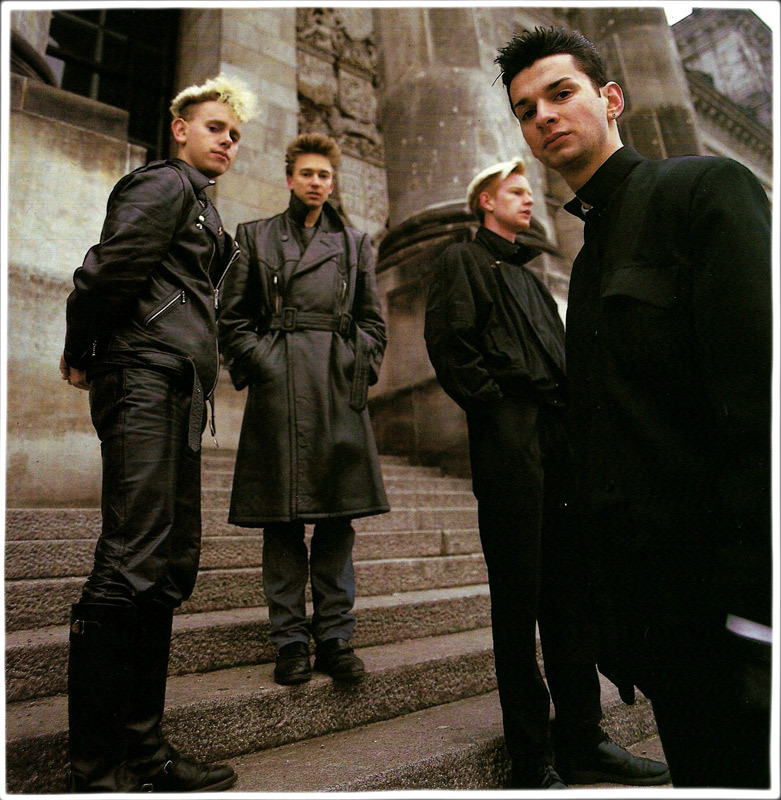 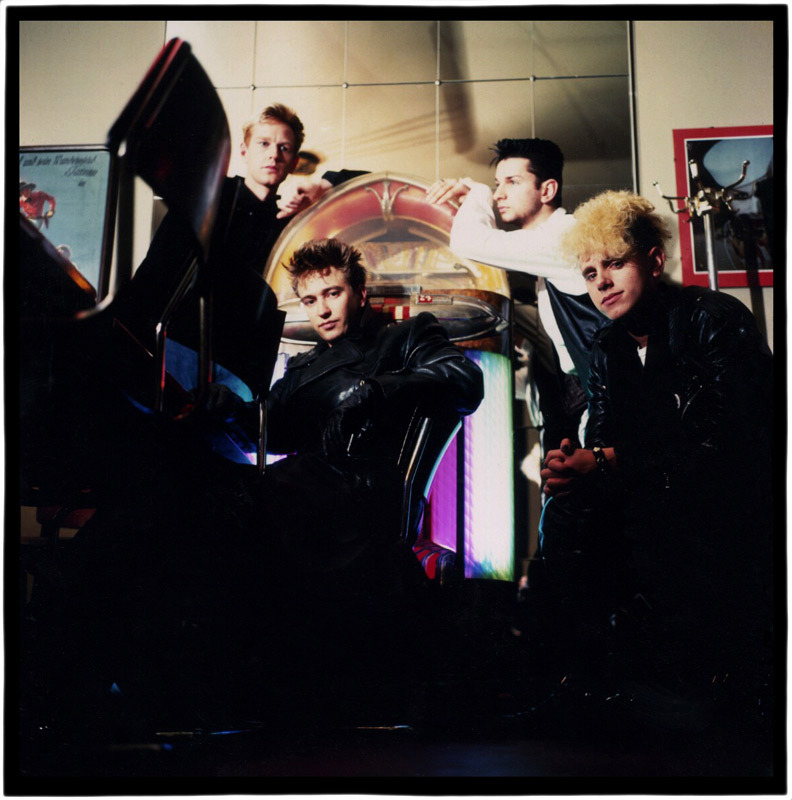 Depeche Mode photo sessions – Berlin U-bahn, Berlin Cafe etc.